The Twistfix range of remedial wall ties is extensive and is widely recognised as among the best available in the UK. 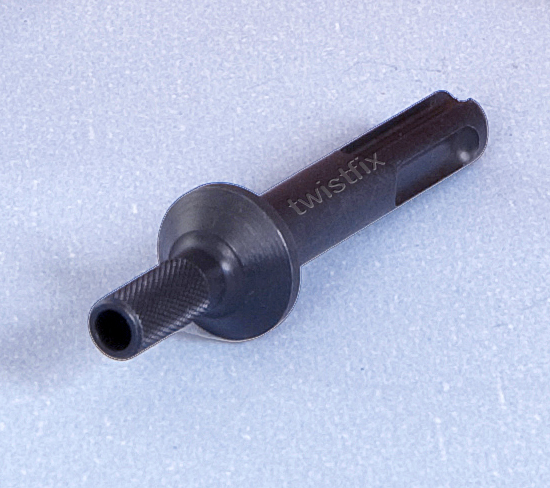 To make purchasing these essential construction and renovation tools from Twistfix even more attractive, we are offering a free setting tool with every remedial wall tie order made before the end of March 2013. For the easiest, quickest and most reliable wall tie replacement and brick pinning instal­la­tions, stainless steel helical ties are the professional choice. 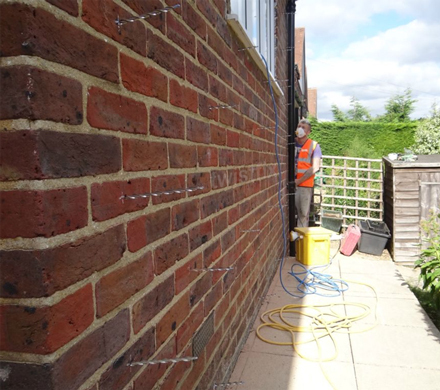 Securely tying masonry walls is an essential part of providing or restoring structural integrity to a building and the products used should always be of the highest quality available. 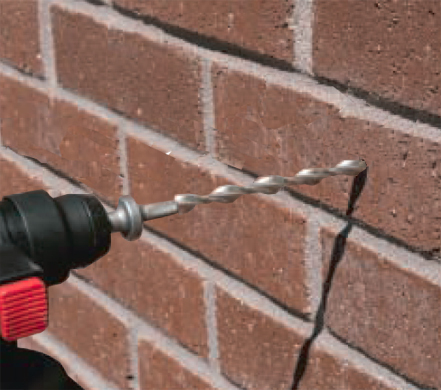 With a diameter of 9mm, Twistfix self-tapping remedial wall ties screw easily into pilot holes in concrete, brick and other masonry utilising a hammer drill. The tie grips tightly in a helical undercut that interlocks, providing strength without imposing expansive stress on the masonry. Innovative AirTwist technology provides a unique driving configuration which delivers a quick, simple and reliable solution to the multitude of structural and aesthetic problems that are created by cavity wall tie failure. Packed in handy bags of 50 ties, these wall ties carry European CE Mark Approval (EN845-1). To use these ties, a drill-bit of appropriate length is required. This length should be 6mm x 360mm for 180-280mm ties and 6 x 450mm for 305mm wall ties. For tying into structural concrete or engineering bricks, a 7mm drill bit of the appropriate length should be used. The SDS setting tool enables simple and secure two-handed drill operation during the entire fixing and coun­ter­sinking processes. The unique design allows the drill to spin rapidly around the end of the remedial wall tie, delivering high-speed repetitive hammer-fix installation. With a value of £27.50, this essential tool is offered free with every remedial wall tie order in March 2013, further enhancing the cost-effec­tiveness of these versatile products. For more information on this exciting offer or any of our damp proofing and masonry repair products, please contact our expert team personally on 0845 123 6007 or email us at info@twistfix.co.uk.